All of our cow's milk products are made from 100% Jersey Milk from a local, single source dairy, which focuses on health and quality of their herd and milk overall. Taleggio-style, washed rind, semi-soft. This rectangular cheese has a sticky orange rind and a creamy soft interior. The rind imparts much of strong flavor to the cheese and is complemented by the smooth texture and creamy fresh flavors of the interiors. 10-12 slab. 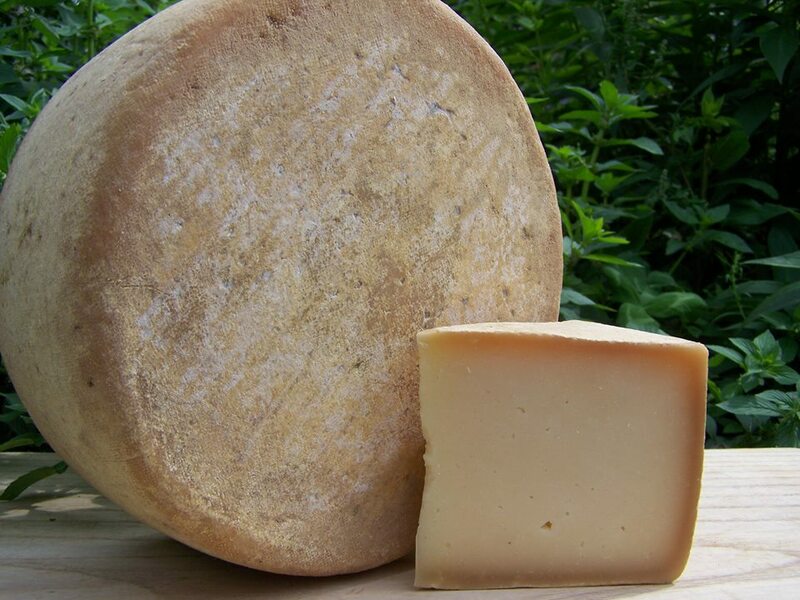 Cow's Milk, Alpine Style, aged 8-14 months, sweet & nutty flavor with bullion broth undertones. Cow's milk, tomme style. Named after the farm from which our cow's milk comes from, this cheese has a semi soft paste and aromas of cultured butter. It has a smooth lingering mouth with a sharp buttery finish. Cow's milk, soft-ripened, washed rind. Humble Pie is a velvety smooth experience with flavors of cultured cream and aromas of fresh baked bread. 3/4 - 1 lb. round (12 ounces). Cow's milk, This large blue cheese has a crumbly texture and a sweet buttery flavor. Modeled after a Mountain Gorgonzola, a recipe brought back from a trip to Torino, Italy, True Blue is made with two different curds which are then combined together to create this truly unique blue cheese. Soft- ripened blue cheese. A mild blue flavor with a creamy and very soft, even gooey interior spotted with blue.